The PKI 1925 GPS GPRS bug is the most sophisticated GPS tracker in the market. It continuously transmits the position data to a server or submits them for download via data connection. 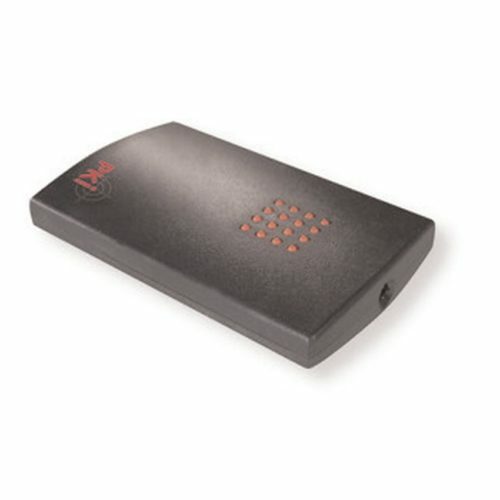 The PKI 1925 is equipped with a highly sensitive ceramic GPS patch antenna, which even allows locating in buildings nearby the window. The extensive range of configuration parameters allows an optimized power saving management which is best adapted to any application requirement. The integrated motion sensor in combination with the sleep mode allows optimized stand-by periods. The status messages emitted by the PKI 1925 contain an extensive range of information, such as time, covered distance, change of direction, speed and battery charge. The PKI 1925 features the creation of Geofences and automatically emits an alert signal when leaving the Geofence perimeters. It is equipped with an emergency button for manual emission of an alert message. For cross-border operations it is possible to create lists of allowed network operators, in order to optimize the costs of roaming fees. The software can be updated at any time, if necessary even via over-the-air data connection. The PKI 1925 features a watchdog function for the detection of failures due to interferences and which, if necessary, automatically launches a restart of the system. This guarantees an autonomic operation at any time. The built-in microphone can be activated via GSM telephone connection, in order to listen into the area around the PKI 1925. This tracker offers a huge range of applications, such as fleet management, personal security, surveillance of rental cars, locating of goods or containers, and much more. It can be operated with an external power supply or with different types of batteries. Waterproof housings are available for outdoor use or covert installation outside.